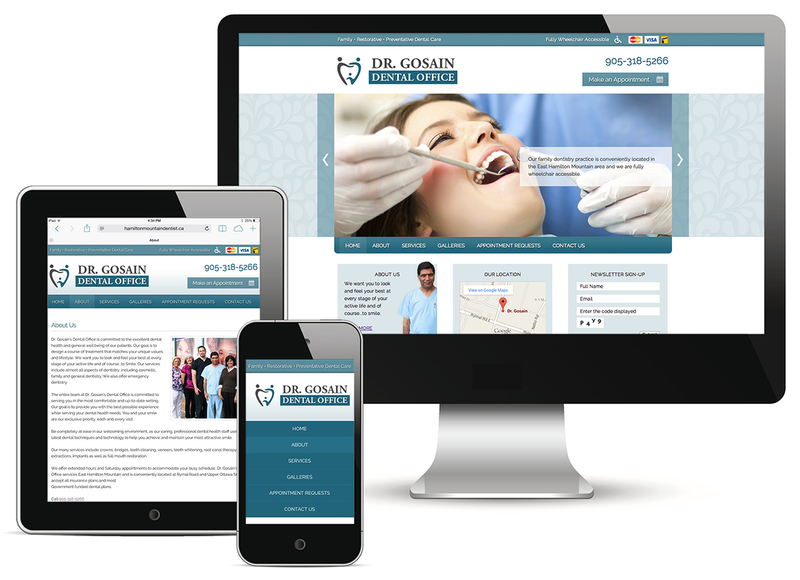 If your wondering how to make your website responsive, we offer responsive (mobile & tablet friendly) website designs for businesses in Belleville, Hamilton, and worldwide. Responsive web design is growing faster worldwide and we want to help make sure your business remains innovative in your industry. A responsive design responds to the needs of todays user. The content layout of the website changes according to the user device so that it is ledgable and easier to navigate. Images and text adjust automatically to smaller devices and hide unnecessary images so that important information can be dislayed for the user to see. Google owns 67% of search market share and refers to responsive design formatting as the industry best practice and the recommended mobile configure. You can tell if a website is responsive on a desktop by reducing the full screen size to the minimum screen size.